Price listed is for each pendant. These are gold plated pendants that measure about 30mm long by about 35mm wide. 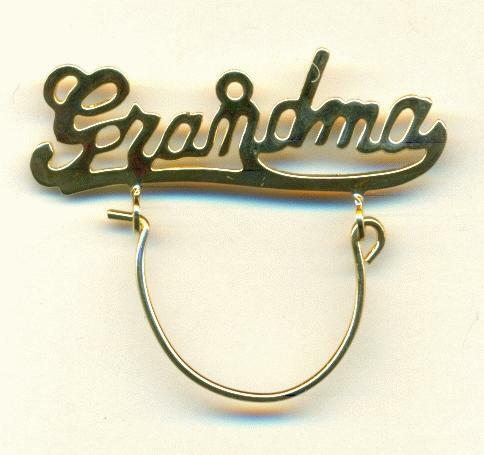 They feature the word ''Grandma'', spelled out in cursive lettering, with a gold plated wire hoop underneath. The hoop opens on one side so you can add charms, beads, or drops. There is a loop above the N for hanging these from a chain, or you could run jump rings through the loops of the G and the A to attatch them to a chain. The wire is about 19 gauge (0.033'').